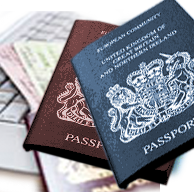 A VISA is a measure which allows for preliminary examination of Foreign Nationals to assess their suitability to enter the country. It is an endorsement on a visa form or in a valid passport of a foreigner granting such person authority to enter Zambia within a specific period upon examination by an Immigration Officer at a port of entry. The validity of the visa is not the period in which the holder is entitled to remain in the country but a period within which the holder has to enter Zambia. As such, foreign nationals are required to use other instruments offered by the Department to remain in the country legally. once during the validity of the visa. during the validity of the visa. multiple times during the validity of the visa. Note: Single, Double and Multiple visas shall be valid for ninety (90) days from the period of first issuance, with the exception of nationals from the United States of America for whose Double and Multiple Entry Visas have a validity of three (3) years. 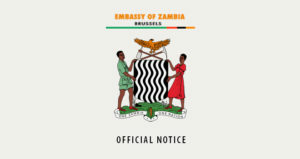 Transit Visa – A transit visa is issued to Nationals who require visa to enter Zambia and are transiting through using land transport and shall be valid for a maximum period of seven (7) days. Day Tripper Visa – A Day tripper visa is issued at a port of entry to a tourist who visits Zambia for a period of less than 24 hours and makes exit though the same port. The facility will apply to tourists visiting Zambia and wish to visit a neighboring country and re-enter within 24 hours. Note: All categories and types of visas stipulated above can be issued at all ports of entry in Zambia. Nationals required to apply for visas prior their travel to Zambia.